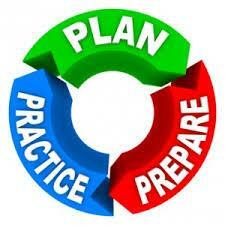 Additionally, schools at a minimum must complete one drill each month that school is in session. In the event that one or more of the district's schools are closed due to an emergency or other reason (including inclement weather), you will be notified from the district or your child's school through a SchoolMessenger phone message and email. A recorded message will also be on the district's Emergency Phone Line at 360-965-0252, posted on the district's website at www.msd25.org, on Facebook and Twitter. Parents and Guardians: Please make certain that your child's school has your most up-to-date emergency phone numbers and emails. In the event of school start time delays or school closure due to inclement weather, you will be notified from the district or your child's school through a SchoolMessenger message and email. A recorded message will also be on the district's Emergency Phone Line at 360-965-0252, information will also be posted on the district's website at www.msd25.org, on Facebook and Twitter. General school district information will be recorded on this line. This recording is also used to share messages that are sent out via SchoolMessenger from the district. Emergency information will be recorded on this line. In the event of a school or district emergency, information and updates will be posted on the district website at www.msd25.org, notification made via SchoolMessenger, and posted on district Facebook and Twitter pages.